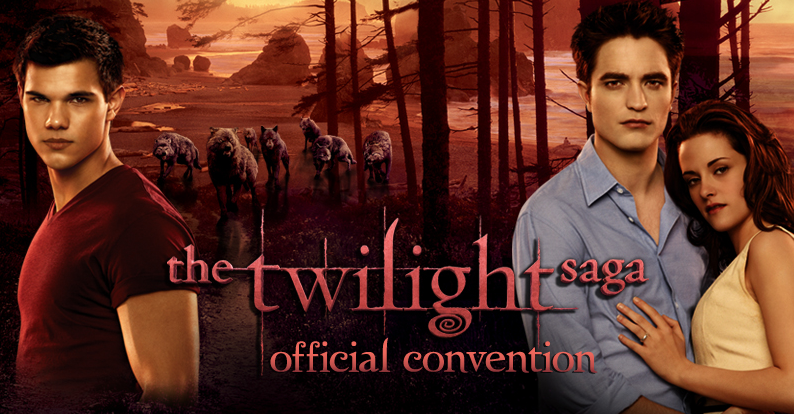 One Less Nemesis Blog: Official Twilight Convention Detriot Ticket Giveaway! Official Twilight Convention Detriot Ticket Giveaway! Some of you have met us at our very first events at the Official Twilight Conventions back in 2010. We love the people at Creation Entertainment, they know how to put on a hell of a convention! There are only a few Twilight conventions left before they are done and we're really excited to be able to give away 2 pairs of General Admission Tickets for the upcoming Detroit Twilight Convention being held at the Sheraton Detroit, September 29 and 30. Special guests include Chaske Spencer (Sam), Alex Meraz (Paul) and one of my personal favorite, Charlie Bewley (Demetri). Just comment that you want to go to the convention here, on our Facebook page or mention us on Twitter by Friday, September 21st at midnight EST. The Weekend General Admission tickets include the following: You get two non-reserved seats for Saturday and Sunday in the theater where all the guests appear on stage and all the daytime events take place, as well as access to the vendor room. This option does not include autographs or night events and the seats are in the rear of the theater. For full details about the event, visit their site at: http://www.twilightconvention.com/cal/twilight_detroit.htm. IMPORTANT: Please remember that these tickets only include entrance into the event and do not include transportation to and from the event, hotel accommodations, and food. The winner is responsible for getting themselves to and from the convention so please only enter if you are going to be able to get yourself to the Detroit/Novi area September 29 and 30! Remember, mention @onelessnemesis or comment here or on Facebook that you want to win the Detroit @twi_tour tickets by midnight EST Friday night, September 21st. We'll be vending at the final Twilight Convention in Burbank, California November 3rd and 4th, so we hope to see you there!